These clever tools save you time so you can get straight to work. Your phone is now essentially your personal assistant — and like any aide, it needs the right set of tools to do its job effectively. The good news? As an Android user, you've got no shortage of efficiency-enhancing options. Unlike other mobile platforms, Android affords you the opportunity to customize and control the core user interface to make it better suited to your needs. And while the more advanced UI-adjusting tools tend to be targeted at the power-user crowd, you don't have to be a card-carrying geek to take advantage of what they offer. Behold: six innovative apps that'll empower your favorite high-tech helper and allow it to reach its full productivity potential. Most business-caliber Android phones ship with fingerprint scanners these days — but once our devices are unlocked, those fancy little high-tech readers tend to sit completely unused. Make the technology a more integral part of your mobile experience by installing Fingerprint Action Pro, a utility that lets you extend your scanner's usefulness past the security front. 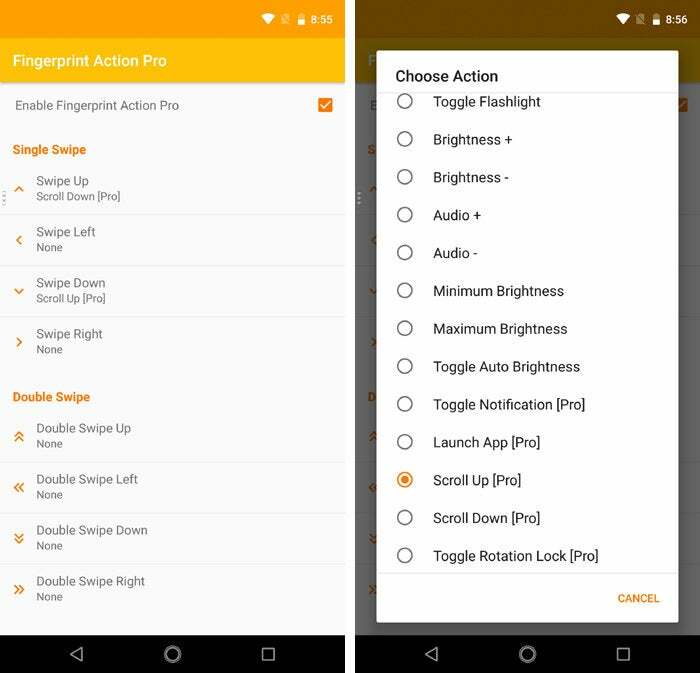 The app allows you to assign custom actions to gestures on your phone's fingerprint scanner — so swiping upward on the scanner could launch Google Assistant, for instance, while swiping leftward on it could turn your device's flashlight on or off. The most clever and useful possibility, however, is the app's ability to let you use the fingerprint scanner for scrolling. On my phone right now, I can swipe up or down on my scanner to move up or down on the screen — on a web page, in a document, in a list of messages, or practically anywhere. The scrolling action is a bit jerky, so things aren't perfect, but it's still a huge convenience and productivity advantage — particularly when it comes to one-handed use. Fingerprint Action Pro makes your phone's fingerprint scanner meaningfully more functional. You'd be hard-pressed to find a handier enhancement. Google is gently pushing Android toward a gesture-driven future — but, well, Android P's gesture navigation system is pretty hit and miss at the moment, and you probably aren't gonna be getting it on your phone anytime soon. Not to worry, though: You can create your own superior gesture system right now with Edge Gestures, which gives you the ability to add all sorts of time-saving shortcuts into your device and make them work exactly the way you want. Edge Gestures lets you create up to three gesture-sensitive hot zones on your screen — on the left, on the right, and along the bottom of the display. Realistically, you'll probably only need to activate one of those, as each contains more than enough opportunities for custom commands via combinations of tapping, swiping, and holding movements. For instance, you could set the app to take you back to your home screen anytime you long-press anywhere in a hot zone, to open Android's Overview section whenever you swipe up on the area, and to act as the system Back key whenever you swipe right on it. You can create similar sorts of actions for adjusting your screen's brightness, opening your notification or Quick Settings panel, and toggling Android's split-screen mode. You can also enable a "pie control" option that adds a tiny translucent button onto the hot zone. Pressing and holding that button pulls up a pie-shaped semicircle of your favorite shortcuts; you can then swipe to any of them for easy on-demand access to those apps from anywhere. 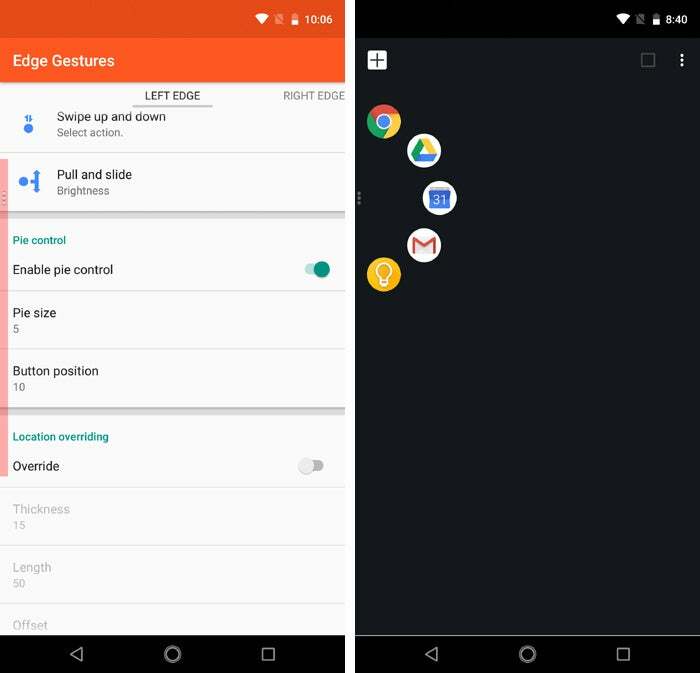 Edge Gestures' "pie control" feature lets you easily access your favorite apps from anywhere. Give your custom gestures some extra pop with Popup Widget 3 — a thoughtfully crafted app that works hand in hand with Edge Gestures to summon some impressive powers. Created by the same developer as Edge Gestures, Popup Widget 3 lets you keep any regular Android widget at finger's reach, no matter what you're doing on your phone. You just assign the widget to an action — like swiping over to the right from your Edge Gesture hot zone — and then whenever you perform that action, the widget will appear as a floating box over whatever else is on your screen. With Popup Widget 3, you can always keep your inbox a single swipe away. That means you could pull up and scroll through things like your inbox, your message list, or your personal notes simply by swiping your finger on the side of your screen — without ever having to switch apps or interrupt your workflow. In most desktop computing environments, you can launch any app anytime by using the always-present taskbar (or Dock). It doesn't matter what programs are open or what you're actively doing; there's rarely a need to "return to your home screen" in order to scroll through your full collection of apps and open something new. On the mobile front, it's typically a different story. But you can change that by installing Taskbar, which brings an always-present app-launching interface onto your Android device. The bar is just a small and translucent arrow that lives in the lower-left corner of your screen. Tap it, and you'll see a familiar all-apps button that pulls up a list of every app installed on your device. Taskbar brings a desktop-like touch to your mobile device. You can even customize the list to omit certain apps or to prioritize specific apps that you want to appear before any others. And a bonus: Taskbar works on Chrome OS, too, giving you an interesting additional option for accessing Android apps on your Chromebook. Tired of typing the same stuff over and over? (Who isn't?) Texpand and its even more capable Texpand Plus sibling can save you time by storing your most commonly used expressions — your mailing address, phone number, stock responses to emails and messages, or even variables like the current date — and then letting you pull them up and insert them into text fields via your own custom macros. 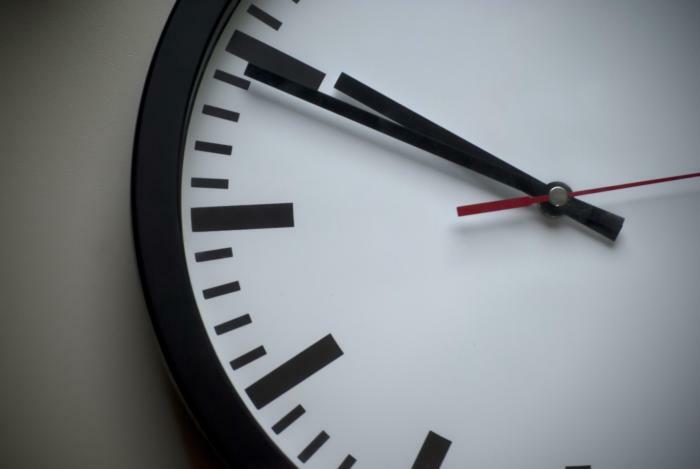 You might set *a to represent your address, for instance, and *d to represent the current date. Anytime you type those macros into a text field, a box will pop up with the associated phrase you set. All you have to do is tap it to insert the words — or if you'd rather skip the confirmation and just have your text fill in automatically, you can set Texpand to do that, too. With Texpand Plus, you can even create lists of phrases that get triggered by certain macros and then appear for your field-inserting selection. Texpand can insert phrases or let you pick from lists of phrases whenever you type a specific macro. There's just one asterisk: Texpand is incompatible with a handful of apps — which unfortunately includes Gmail, Google Docs, and Chrome. The developer came up with a reasonable workaround for those scenarios, though: You can keep Texpand available in your notification panel and then drag and drop your phrases directly into apps where the macros won't work. Either way, it's a significant upgrade to your mobile typing experience. No matter how much you may supplement it, your smartphone's home screen invariably serves as a starting point for your mobile productivity needs — and a simple step up from your device's default setup can make it much more useful and efficient. The key is to employ something called a custom launcher, which takes over the entire home screen environment and replaces it with a more versatile and/or powerful alternative. 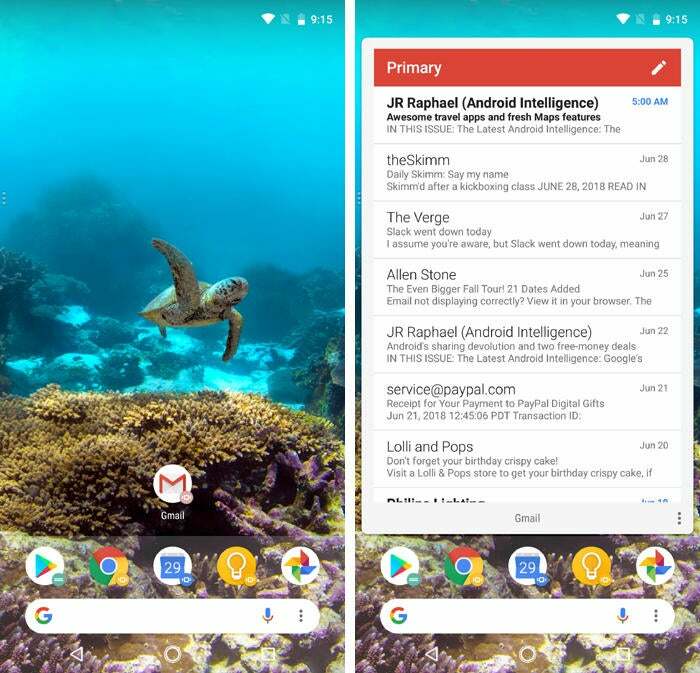 You can find launchers for practically every style and purpose on Android, but one that's long stood out to me is an inventive little creation called Action Launcher. Action Launcher has oodles of interesting features and opportunities for customization. One such example: It allows you to store on-demand widgets in every home screen icon, which helps you packs a lot of functionality into a single space without creating any clutter. You just swipe upward on an icon to open its widget, effectively letting you peek inside the app and gain access to its key elements right then and there. With Action Launcher, your home screen can be both uncluttered and packed with valuable functionality. Another helpful feature lets you customize your home screen's long-press menu to make it more practical for your own personal needs. You might give the menu a direct shortcut to your device's battery stats, for instance, or a one-touch option for browsing your phone's storage. Functions that are typically several steps away can thus be at your fingertips — and you can take care of most basic productivity tasks right from your home screen, without having to waste time poking around. 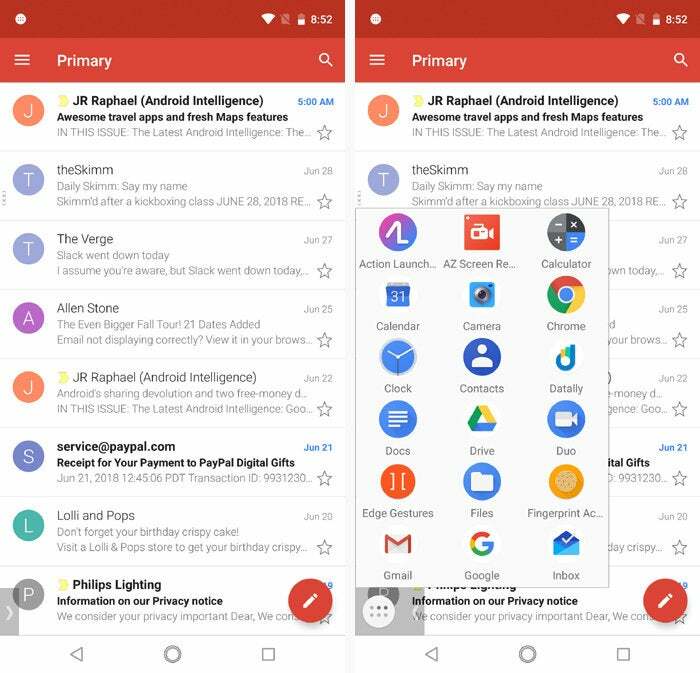 Use Action Launcher in conjunction with some of the other tools in this collection, and what you need will always be nearby and easy to manage — no matter what you might be doing on your device at any given moment. And that, dear readers, is what efficiency is all about. This article was originally published in July 2017 and updated in July 2018.